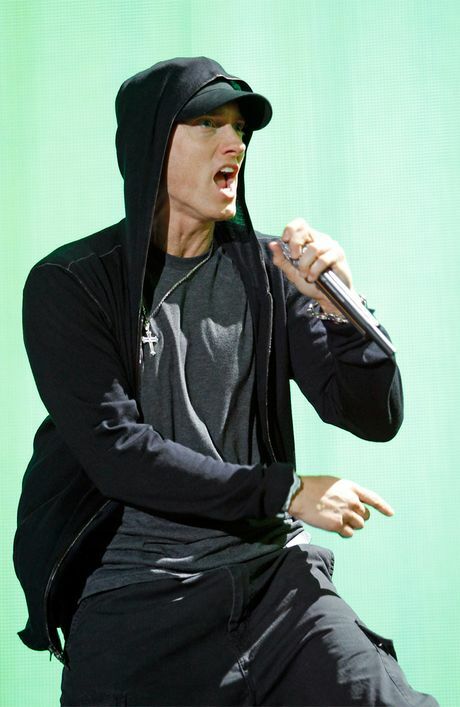 EMINEM is a man of few words ... maybe fewer than few. In an interview with Entertainment Weekly fellow singer Pink revealed how the duo's highly anticipated collaboration on the song Revenge on her new LP, Beautiful Trauma, came to be. "I sneak-attacked him," she said. "[Producer] Max [Martin] and I started making [Revenge], and I wrote this rap. We were drinking a lot of wine, and then I went home and I thought more wine would be a good idea." Then of course came the next logical step. "I emailed [Eminem]." Because, you know, that's what you do. She continued: "This is why they call it liquid courage. And I said, 'You know I love you. I like that you work with a lot of the same people, like Rihanna. "She's hotter than me, but I'm funnier. So I'm going for a rap Grammy, and I'd like to take you along with me.'" The "long", tipsy email received a timely response. She said the rap legend responded "right away". What's the logical response to a long drunken email from one of the world's biggest rockstars who's just written a rap to win a Grammy and wants to collab with you? Well if you don't know, it's "Okay". Yes, the myth, the legend, still a man of fewer than fewer words responded in true Eminem style with "Okay". I'm not disappointed and apparently neither was Pink. Eminem was in Rio when he received Pink's proposal but the she received the finished track in her inbox just four days later. Talk about efficient. Pink said, "I emailed him again, I was like, 'This is the best thing I've ever heard! I want to tackle you and rub your face in the dirt!'" Keeping it consistent she said, "He just wrote back and was like, 'Okay.'"